Love the thought of walking on a treadmill while watching TV, but just don’t have the budget (or space) for one? You may be surprised to learn that a manual treadmill could be the solution. Manual treadmills are (usually) far less expensive and take up way less space than their motorized counterparts. 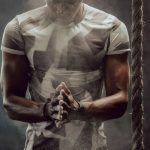 In this article I will explain what a manual treadmill is, how they operate, and how they may just be the best choice you can make for sustained indoor fitness on a budget. 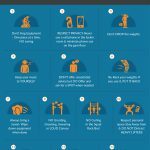 I will wrap things up with my top 9 picks for the best manual treadmill for home, and let you know a few you should avoid. How does a Manual Treadmill Work? 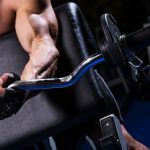 What is a Magnetic Manual Treadmill? Can you run on a manual treadmill? 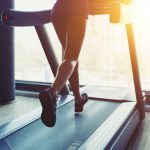 Are manual treadmills good for running? 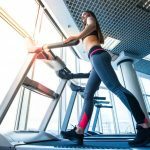 What should I look for before choosing a manual treadmill? A manual treadmill is one that you operate using your own power. It does not have an electric motor that drives the belt. 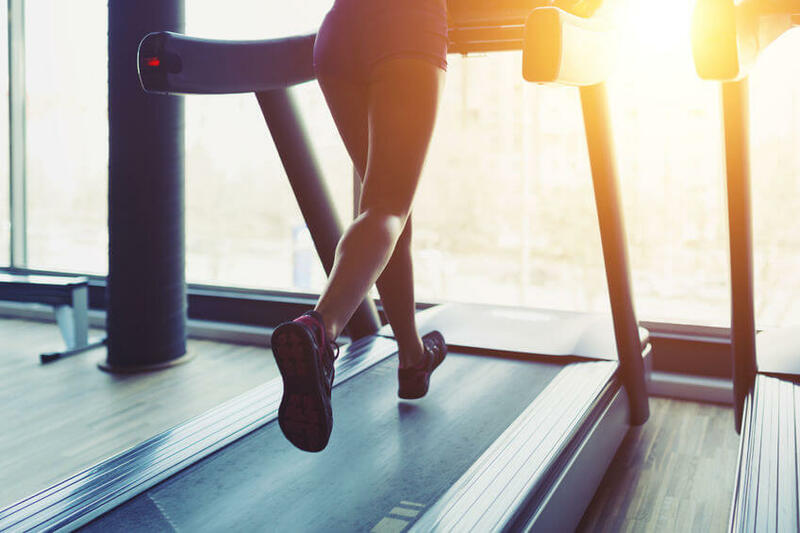 Manual treadmills are usually at a bit of an incline and the force of gravity plus down on you as you walk or run, which also helps the belt move. The higher the incline is angled the faster the belt moves, and this is how you end up running on a manual treadmill. Back in the day, ALL treadmills were manual. They were made from a belt wrapped around two rollers on an incline deck. They usually had handles that you held as you walked. 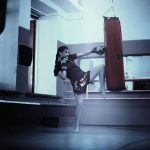 You move the belt by moving your legs walking or running. They even made manual treadmills for dogs. The dog powered treadmills were used to help do the laundry or make ice cream before, you know, “modern appliances”. Not much has changed in the world of manual treadmills. They still sit at an incline and operate the same way. There have however been some models released with some modern technology and updates. For example, magnetic resistance has been added to several manual treadmill models. Keep reading to learn about magnetic resistance. Magnetic resistance on a manual treadmill adds resistance to the belt. Take for example the Exerpeutic 100XL listed in first place in the reviews below. This treadmill has two flywheels at the front, with brackets attached to the frame. There is a tension adjustment that moves the brackets farther or closer to the magnet to add or lessen resistance. 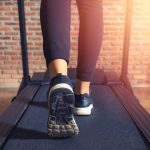 You may be debating which is right for you, or what is the difference between manual and electric treadmill. To lay it out visually, I have listed the pros and cons of each type. Less expensive than Electric treadmill. Smaller footprint than Electric Models. Technically safer, since the treadmill stops when you do. No need to plug it in, no electricity needed. Uses more back leg muscles, also, may be a better (harder) workout. May take some effort to gain momentum on a manual treadmill. You need to get off the manual treadmill to adjust the incline. Manual incline treadmills are not able to be at a flat incline, 5 degrees is the smallest we found in our manual treadmill reviews. Usually electric treadmills have a longer deck which is necessary for running. Usually can adjust resistance and incline while walking or jogging. Usually have on board computers with workout routines and data display. More expensive than manual treadmills. Treadmill may not stop, even if you trip or fall. Must have a place to plug it in. 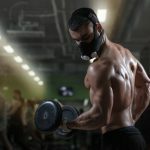 Those who opt for the manual vs electric treadmill usually do so for two reasons. Manual treadmills save money and are usually a lot smaller and lighter than their electric counterparts. 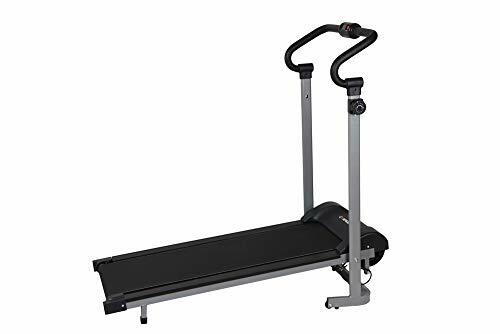 The biggest complaint with manual treadmills is that folks were not expecting the workout to be so challenging, and on most models, the incline is fixed and can not be made flat. The other issue some folks had was most manual treadmills need the belt to be lubricated frequently. If you are on a budget and tight on space, you might like the option of a manual treadmill. In general, manual treadmills have a shorter deck that electric treadmills, which makes there a challenge to run on. You need more length for a running stride than you do for walking. I have called out several manual treadmills in the reviews below that are candidates for running. 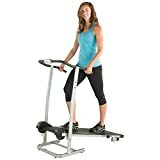 I have also listed a few of the best manual treadmill for walking, as this is the most common use for this type of exercise machine. User Max Weight limits vary considerably among models. 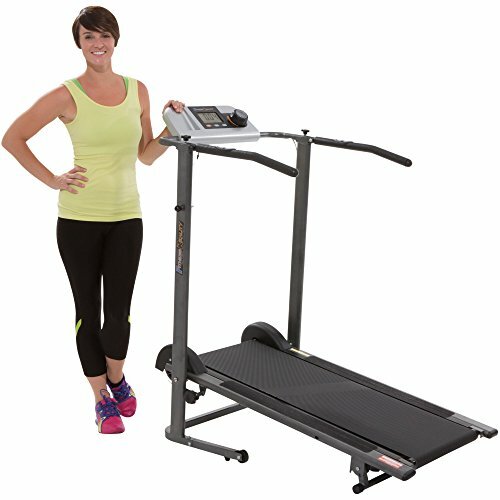 Of the manual treadmills we reviewed, the maximum weight for the user ranges from 220 lbs to 440 lbs. That’s quite a big difference. 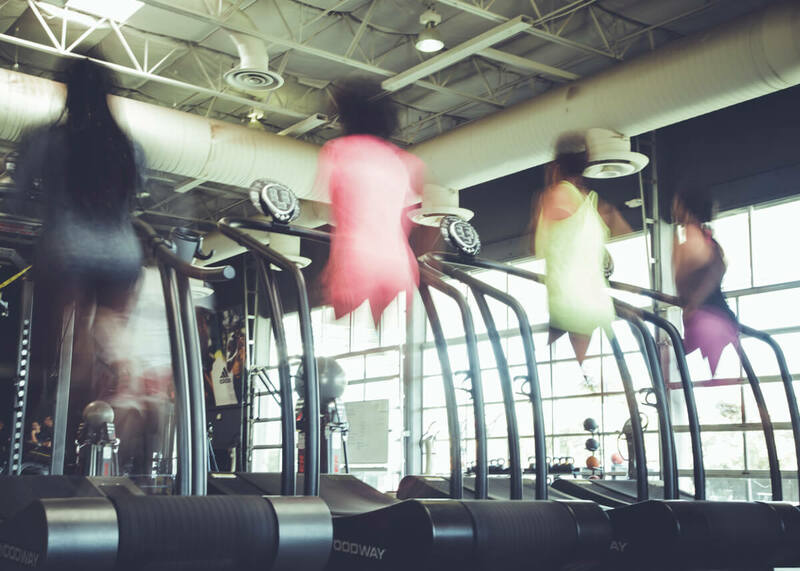 If you plan to jog or run, most manual treadmills are too short. There are a few that will work for running, provided the deck is longer. Look for a deck of at least 45” in length if you plan to jog, otherwise, stick to walking. If getting onto the treadmill is a concern, you are in luck. Many manual treadmills have a low step up height. Check the specs of the model you have your eye on before you buy. Newer model manual treadmills use magnetic resistance. 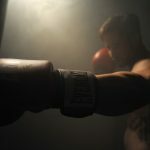 This style of resistance not only allows you to customize the level of difficulty you prefer, but magnetic resistance also makes for a smoother ride. 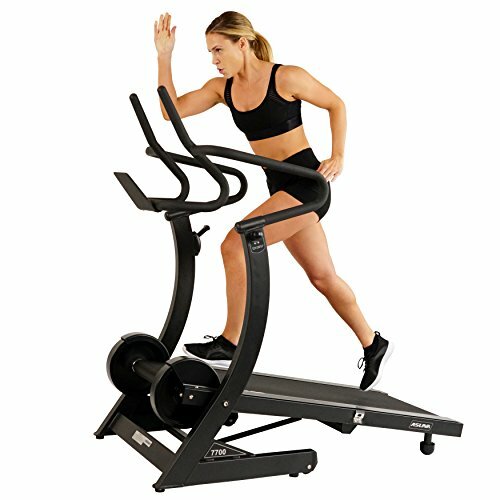 Manual treadmills have a reputation for being the most compact treadmills available. Many models fold up, are light enough to carry if needed, and have wheels for easy transport. Several of the best manual treadmill for home are listed below in the review. Some even fold to a height of as little as 9 inches! 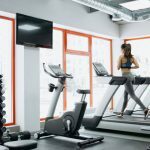 One of the biggest differences between electric vs manual treadmills is that since manual treadmills are self powered, it is best to hold on while using them. Since you should hold the handles, the type, and length of handle matters. Longer handles are more comfortable and functional and are preferred. Some manual treadmills have extra features you might like to have. A few have small on board consoles that show time, calories burned, distance and more. Others have heart rate monitors and pulse monitors built into the handle. Some have a place to store a book or tablet. If these features are important t you, be sure to check for them before you decide. Review: The Exerpeutic Magnetic Manual treadmill uses magnetic resistance which works to stabilize the speed and keep movement consistent. This treadmill includes a heart rate monitor and has an adjustable incline. Plus it folds up for easy storage. Track is wider than most manual treadmills available. Challenging to assemble, pieces do not always line up. Best manual treadmill for home because it folds and has a small footprint. Review: With 8, 10 and 15 degree inclines and a full 45” long deck, this Fitness Reality treadmill will have you up and running in no time. It also has extra long handles and an on board LCD computer to track time, distance and heart rate. Foldable as well. Dual flywheels provide smooth ride. 45” long, longer than most. 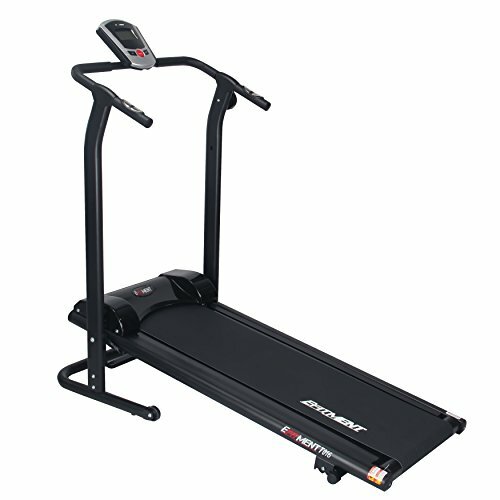 At 45” long this is out best bet for best manual treadmill for running. Review: Since the Weslo cardio stride 2.0 manual treadmill is no longer available for sale, we chose this Weslo Manual treadmill to review. The Weslo 3.0 Cardiostride is a very economical choice from a well known manufacturer. There is an on board console to track time, calories, and distance, and the deck is very low, making this deck easy to step on and off of, easily one of the best treadmills for seniors. 41″ long belt, good for walking, plus 17″ wide, one of the widest available. The belt tends to shift from center while using it. 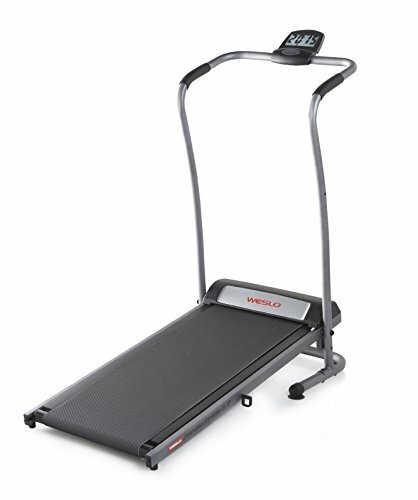 This Weslo Cardiostride 3.0 is one of the best manual treadmill for walking. Review: With a 43” belt, this manual treadmill may bee good for jogging. Since the resistance can not be set, it tends to move pretty fast. The unit has two incline positions and holds up to 230 lb user. It is a low price unit and as such, has pretty basic features, but for the price it is well built. 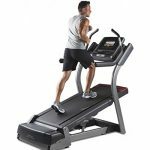 Among the best manual treadmills for the price. 6 and 10 degree incline. Best manual treadmill for jogging and smaller users. 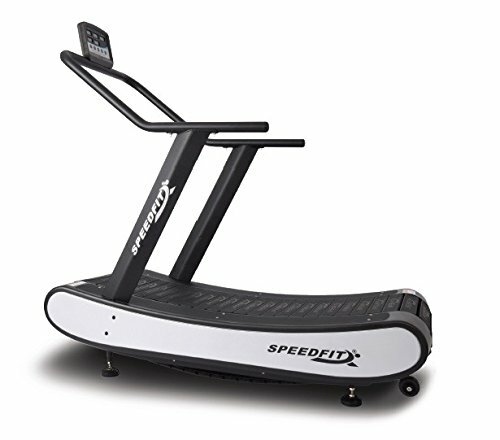 Review: This Speedfit manual treadmills is the pinnacle of quality and performance when it comes to manual treadmills. Its patented curved deck encourages runners to use the ball of their foot while running. This treadmill is built with extreme quality and care, even the deck has built in shock absorption that makes using this incredible unit easy on your knees and joints. Rotates on ball bearings, needs no maintenance or spray. On board computer and heart rate monitor are powered using energy you generate. Perfect for running, jogging, or walking, you easily control the speed. Hands down the best manual treadmill for running. Review: This EFITMENT manual treadmill is a promising up and coming contender for a top spot in our list of manual treadmill reviews. It is well built and the quality shows with features like a knob adjusting magnetic resistance, A digital LCD monitor and plus rate monitor built right into the handle. 7, 8 and 9 degrees of incline adjustment. Change magnetic resistance with the turn of a knob. Foldable and has transport wheels. Best non motorized treadmill for small garage and home gyms. 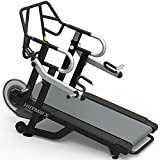 Review: Study construction and adjustable magnetic resistance make this manual treadmill one of best of the manual treadmill reviews in this list, at this low price range. It performs better, and constructed better than the stamina manual treadmill. 8 levels of incline, with incline as low as 5%. Fold to store, with built in wheels to move. On board LCD computer track speed, distance, calories, odometer and time. Best manual treadmill for walking for long periods of time. Review: Holy Treadmill’s Batman, look at the arms on this thing! This is a manual treadmill on steroids. It is made by Stairmaster, and features farmers carry lift arms with an amazing 90 lbs of resistance for each side. Talk about multi-tasking! 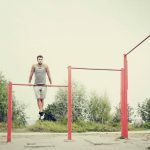 With versatile multi position arms, you can walk or jog sideways and frontways, even add a belt and walk backward. It is designed for speed, lateral movements, agility and sled style moves. This machine is a beast in its own right and the king of manual treadmills. Farmers carry arms, which use Olympic size weights for resistance. Manual resistance is set with a simple paddle lever. Extra wide, super stable 23’’ wide deck. Best manual treadmill for jogging, hill sprints, hiking, sled pulling, HIIT, you name it, this manual treadmill does it. Review: This ASUNA luxury manual treadmill has the quality features you would expect from a well built piece of equipment like rubber coated non-slip multi-grip handles with ample length. It has 4 levels of incline ranging from 10 to 14 degrees and the resistance easily adjusts with a waist level adjustment knob. The unit folds neatly and easily using a soft drop system. 49” track with 19” width. Between 10 and 14 degree level of incline. Dual flywheels control speed and make for a smooth ride. 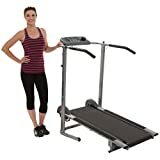 Best manual treadmill for running, walking and jogging with 49” track. In addition to being cheaply made, flimsy and unstable, this treadmill is fixed at a 13 percent incline that can not be leveled. The treadmill feels wobbly to walk on, let alone run. The belt is jerky, shifts from side to side and must be constantly adjusted. It’s just not one of the best manual treadmills on the market. Just a no all around. This manual treadmill has a deck that slides around and must be adjusted frequently. 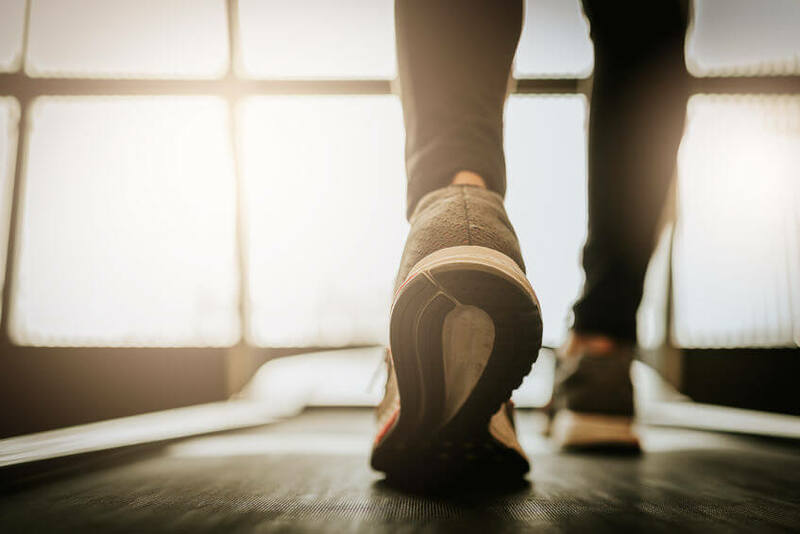 The mat needs to be sprayed with a silicone lubricant frequently and the treadmill creaks when you step down, making it a challenge to watch TV while using it. Also, you can not lower the incline and there is not much resistance which means you end up running, and hanging on for dear life, even if you did not intend to. While the promotional pictures of this treadmill leave a nice impression, the user experience is anything but. More often than not, the on board console, which is battery operated, does not work. In addition, the treadmill is shipped with no assembly/user manual so you are on your own! Sorry, just not one of the best manual treadmills around. Have you decided to try a manual treadmill? Love them or not, we want to hear what you think? Have you tried a manual treadmill? Which one have you decided to get?